⚓ T114080 css bugs in modern skin with the latest echo spilt notifications. css bugs in modern skin with the latest echo spilt notifications. Hover over is white type on a white background. Both are seemingly addressed in mw.echo.ui.NotificationOptionWidget.modern.less and mw.echo.ui.NotificationBadgeWidget.modern.less but being overridden. // In modern, the hover color is white, which is unhelpful. NQ raised the priority of this task from to Needs Triage. 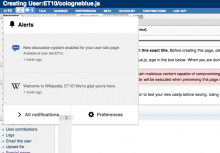 NQ added projects: Notifications, Modern. NQ added subscribers: NQ, Legoktm, Quiddity. Catrope edited projects, added Collaboration-Team-Archive-2015-2016; removed Collaboration-Team-Triage. Catrope assigned this task to Legoktm. 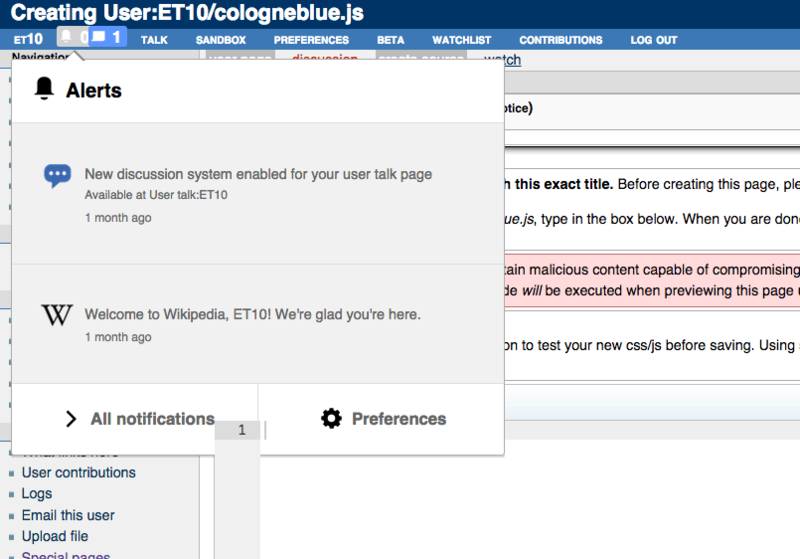 Catrope mentioned this in rMEXTa1b00a25ab57: Updated mediawiki/extensions Project: mediawiki/extensions/Echo….